THP is pleased and excited to announce a VERY special contest today. Partnering up with 59 Belts for an amazing prize for two lucky winners. Two lucky THP Forum members will win a 59 Switch Buckle & Matching Strap, considered by many to be the finest buckles produced in the world. Each strap comes unfinished so you can have it perfectly sized for yourself. Additional belt or logo colors can be added to your collection at your whim. Each buckle also has THP engraved on the back. Many of our readers are familiar with our “Scavenger Hunt” contests, but those that are not, it is really quite easy. 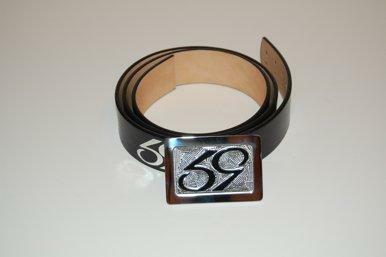 We will ask 3 questions and each one of them can be answered by browsing through the 59 Belts website. Each entry that is submitted with the correct answers, will be entered into a random drawing to pick out the winners of this fabulous contest. The deadline of this contest Tuesday April 20th, 2010 at 11:59pm EST. All entries must be received by then to be considered. 1. What metal is used to make the 59 buckles? 3. What is your favorite 59 buckle shown in their gallery and why? Good luck to everybody and we hope that every person here has a blast with this contest and learns a little bit about why 59 Belts are so unique. We want to thank them for these amazing prizes. For more information on these belts and buckles, check out the THP Review for Spring Fashion Preview 2010.